5,151mm long, 2,000mm wide, 1,805mm tall, with a wheelbase of 3,105mm. 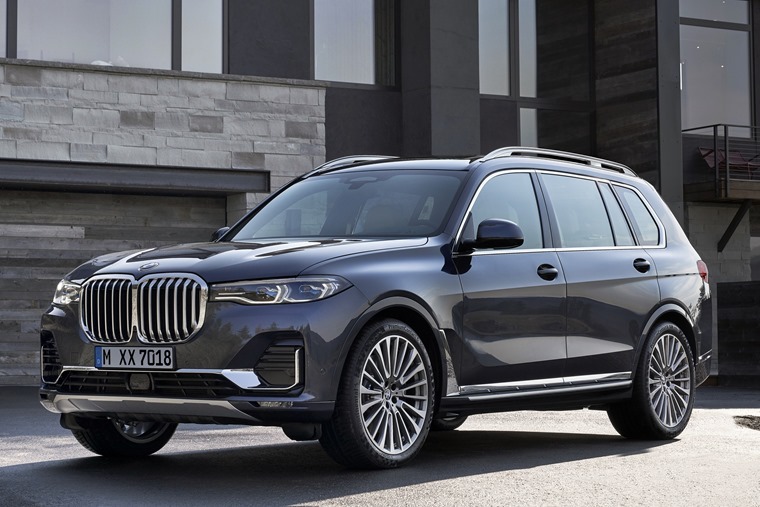 It’s safe to say the first ever BMW X7 is going to be one of the biggest and most imposing SUVs on the market when it goes on sale next year. Starting from £72,155 OTR, this behemoth 4x4 promises exclusivity, spaciousness, superior quality, strong performance, agile handling and off-road capability. 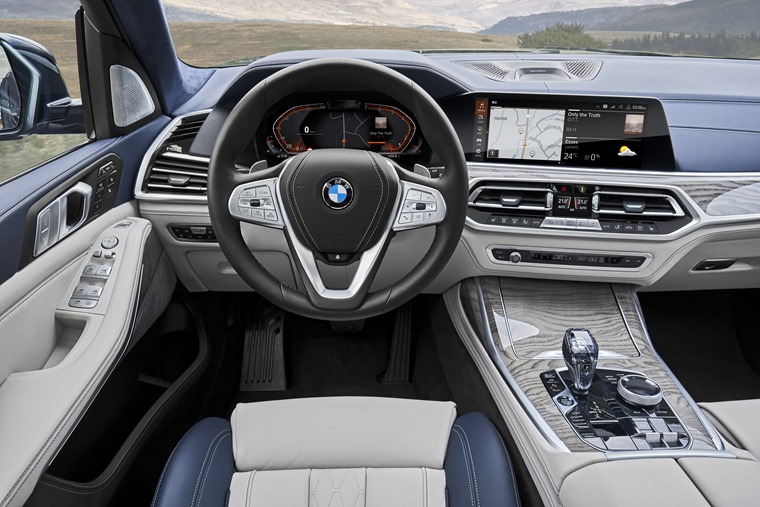 In the drivers seat, the X7 features the same dashboard layout as other recent BMWs such as the X4 and X5, including the iDrive 7.0 in-car control and infotainment across dual 12.3in displays. Little luxury choices are added such as metal and wood trims, ambient lighting and an optional CraftedClarity glass application for the gear selector. 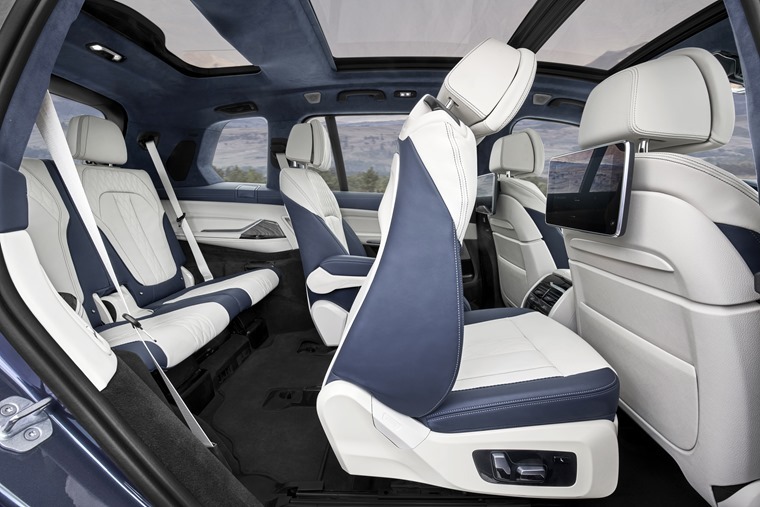 Two diesels and one petrol will be offered at launch in the UK, with all of them using an eight-speed automatic gearbox. 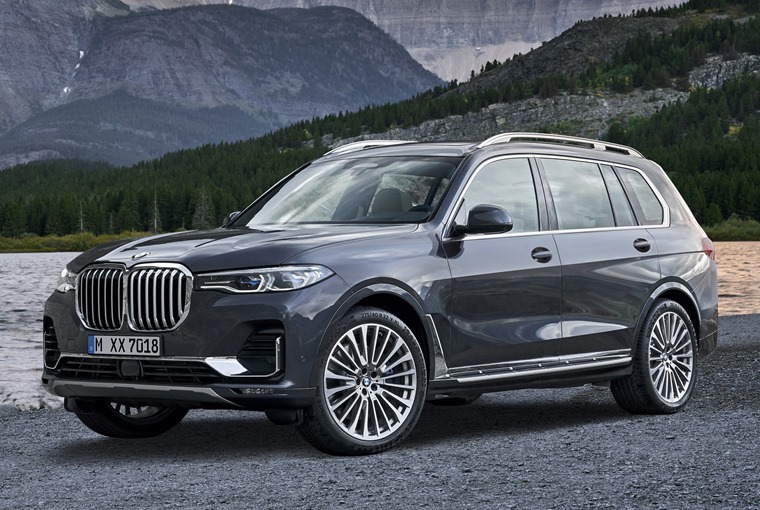 The basic model, xDrive30d features a 3.0 litre six cylinder turbodiesel offering 265hp, while the xDrive40i turbocharged petrol offers 340hp. The top of the line M50d brings with it the type of performance you would expect from BMW’s M-division producing 400hp. 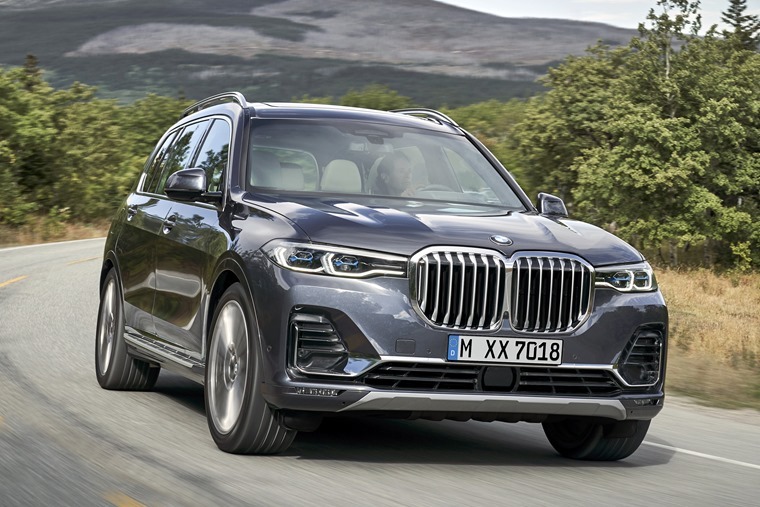 The BMW xDrive all-wheel-drive system features throughout and now varies how the drive torque is split between the front and rear wheels to provide better handling. It links up with Dynamic Stability Control and, for added efficiency, full-drive power can be directed to the rear wheels in situations where all-wheel drive is not required, or for more sportier driving. 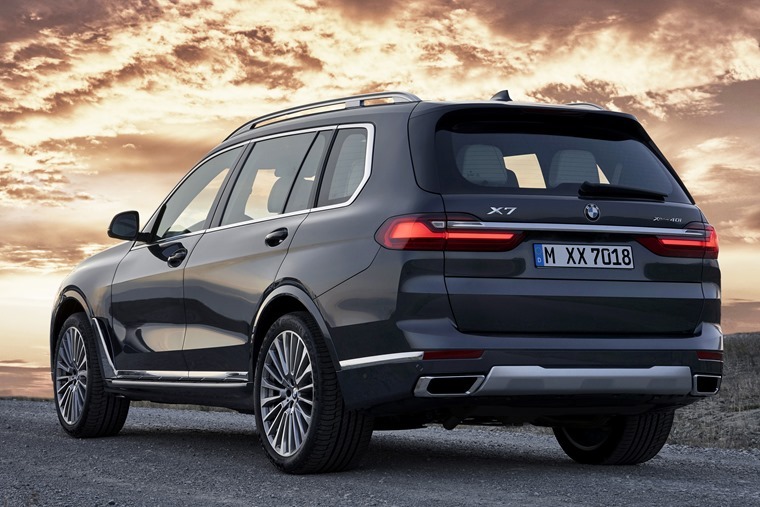 An M Sport differential is fitted as standard on the BMW X7 M50d and in conjunction with the Off-Road package. This electronically controlled rear differential lock also hooks up with the DSC system to reduce understeer and makes a notable difference when exiting corners. It also increases traction on loose surfaces or roads that require differing levels of grip for the left and right rear wheels.